Back in January, Fundata Canada announced the winners of the FundGrade A+® Awards for 2016. Over 230 outstanding mutual funds and ETFs were honoured at the event, and just over 100 of these were first-time winners of the award. Now that we are one third of the way through 2017, I thought it would be interesting to look at funds that are potential first-time winners of the award this year. Desjardins iBrix Low Volatility Global Equity Fund debuted in January 2015 and is managed by Unigestion Asset Management (Canada). The fund uses a rules-based strategy to create a portfolio of global equities that is expected to be less volatile than the typical global equity fund. Low-volatility strategies have become very popular over the past few years, due not only to their strong risk-adjusted performance, but also their class-leading absolute performance. In the Canadian Equity space, six of the top 15 funds based on 2-year average annual compounded rate of return follow a rules-based low-volatility strategy. Similar trends can be seen with the U.S. and International Equity categories. With Global Equities however, the trend is much less evident. While there are no funds with a quantitative low-volatility strategy in the top 15 based on 2-year return, a few funds, including Desjardins iBrix Low Volatility Global Equity Fund, are still producing above-average performance with below-average volatility. The fund has gained 11.5% annually over the past two years, which is significantly higher than the category average of 7.9%. Volatility over this timeframe is 9.5%, well below the 11.1% category average. This impressive risk-adjusted performance has earned this fund a FundGrade A rating for three of the first four months of 2017 and puts it on track to earn a FundGrade A+ Award in its first year of eligibility. Over half of the portfolio consists of U.S. equity, with Canada and Japan the next largest at around 12% each. Financial services is the largest sector weight, at 26%. Top holdings include big-pharma companies Eli Lilly and Co. (NYSE: LLY) and Roche Holding Ltd. The fund is available in a variety of sales options. The advisor shares come with an MER of 2.54%, and the fund is rated as Low to Medium risk. Another potential first-time FundGrade A+ Award winner this year is Horizons Cdn Insider Index ETF (TSX: HII). This ETF also follows a rules-based strategy, but one not as common (or popular) as the low volatility variety. HII seeks to replicate the performance of the INK Canadian Insider Index, net of fees. This index tracks the performance of 50 TSX-listed stocks that have significant insider transactions and holdings. It also screens along valuation and growth metrics. The index is equally weighted and rebalanced semi-annually. Insider buying activity and large insider holdings have long been considered positives for equities. The theory is that insiders know their companies and businesses much more intimately than most investors. If they are confident enough to hold large positions, possibly representing a large portion of their personal wealth, then investors should also feel confident investing in the company. And if insider buying activity is high, this might indicate that those who know the company the best believe shares are undervalued. Astute investors have always used this information to provide clues on insider sentiment about a company. For the average investor, HII does the heavy lifting, eliminating the need for investors to pore over insider trading summaries. HII was launched at the beginning of 2015 and has an MER of 0.74%. 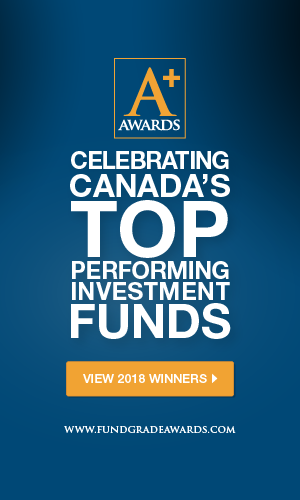 Its 2-year average annual compounded rate of return of 8% is in the top five in the Canadian Equity funds category, and more than double the category average. At 8.4%, volatility is average compared with its peer group despite the fact that the fund has a mid-cap bias. The portfolio is more diversified than the typical Canadian Equity fund. Financials make up just 20%, while Basic Materials and Energy are only 16% and 12%, respectively. Top holdings include Cascades Inc. (TSX: CAS), Martinrea International Inc. (TSX: MRE), and Transcontinental Inc. (TSX: TCL.A). HII has a quarterly distribution and currently yields just over 2%. Brian Bridger, CFA, FRM, is Vice President, Analytics & Data at Fundata Canada Inc and is a member of the Canadian Investment Funds Standards Committee.